The Holidays are a busy time for most people. So when someone takes the time to make you a gift, the gesture is extremely thoughtful. But then again, it always is, isn't it? I have some great old quilts handed down through my family. Sometimes, when one of the quilts is wrapped around me, I imagine the hands that stitched it and I feel a sense of comfort that goes beyond the warmth of the quilt. I also have some old cross stitch in frames. Pieces that were made for me and given to me by my aunt. These are my treasures and I won't ever get rid of them. Some less sentimental people might call it hoarding of a sort, but I just think of of as a thread to my past and to the people who loved me. For they gave something to me that they made with their own hands. Which is also giving me the gift of their time. Is it just me? Am I the only person like this? Do you have cherished handmade items you won't throw away? I love quilts. Adding them to a book is incredible. I do have things that were given to me by friends and relatives. I also do crafts for my family and friends as gifts. I like giving part of myself to someone I love! I really enjoy your books. Thank you for this giveaway. That's too bad. Be sure and ask your library to order them. Usually, they will. Cheers! I have Christmas crafts I just can't part with and continue to add to. I have some embroidered pillows my mother made. I'm waiting to see if either of my grown children are interested in them. I'm sure they will be! I'm with you. I try to get rid of things i don't need or use but there are some things my daughter, mom and grandmother made that I just have to keep, including a spiral notebook of recipes in my mom's handwriting. I have a quilt that my Dad's mother started before she passed away. I never got to know her because he was a child when she died. I had the piece framed and use it as a headboard. I have items my Mom made that I am holding on to. I have some of those potholders made in a loom. Not too many other handmade items. catbooks72(at)gmail(dot)com (Here's my correct e-mail). Even though I am not eligible to win (Canadian) I wanted to comment. I SO understand the value of keeping those special handmade items that connect me to the past. My mom was a busy farm wife, but always found time to embroider, knit and crochet. I learned those, plus developed a love of all crafts from her. After her death, I chose several of her beautiful crocheted doilies and use them in my home. One year both she and I made crocheted snowflake ornaments for our Christmas trees. My daughter now owns the ones mom made, and I hope they mean a lot to her. I also have the top from a quilt that mom and her sisters made during the Depression years.. Each block has a hand-embroidered design. The quilt suffered some damage during storage, but I plan to stabilize the embroidered pieces and create framed wall-hangings for all of us first cousins of these talented prairie women. I truly do love the gifts or heirloom treasures that are made by hand. I think people think homemade with being too poor to buy a "proper" gift. 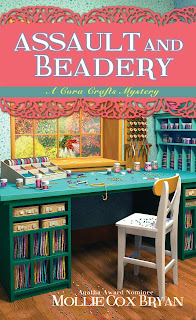 When in fact, a homemade gift is a gift made by hands with love in every stitch, bead, stick, or item in that gift. If you would take in account the time and the price of wages per hour now, a homemade gift is more expensive than any store bought gift - most of which very little thought or time went into buying. How many people walk into a store and just pick up something to have that gift that they must give? But one that is specially thought out, planned and then executed with love, hard work and skill is priceless. Yes, we moved last year and had to greatly downsize. We now have one huge walk-in closet about the size of a very small bedroom to put everything in. I had inherited through my Mom at her passing items made not only by her but her Mom and then her Mom's too. The one thing that definitely came with me and sits in the closet is big the wooden chest my Grandfather made and my Granny covered that holds the quilts and special hand made items made by my Great Granny, Granny, and my Mom. There's everything from aprons to the bedspread made out of small squares and then cross-stitched at every seam, to the little toys my Grandfather made for my Mom when she was a little girl like a little doll bed with the mattress stuffed with cotton from the fields. I treasure them all and many of them come out during different holidays for displays or to be used. I believe in enjoying my treasures and not keeping them locked away unseen by anyone. I have even added a few of my homemade items to the box for someone else to treasure maybe years down the road. 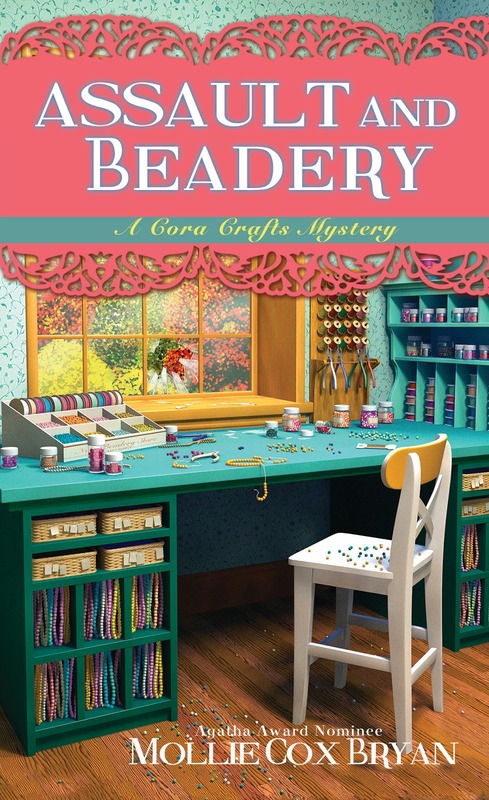 Thank you for the wonderful chance to win a copy of "Assault and Beadery". I can't wait for the opportunity to read it. I love hand-made items. My mother made me a beautiful set of Christmas ornament that I put up every year. I have all sorts of handmade items from my great-grandmother, great-aunt and grandmother..I'd never part with them, though my kids probably will not want them. I have some embroidered hand made linens that I just love as well as crocheted items. Thank you for the contest.